My sponsors have been planning some fun things to share with you, and I'm really excited to have this first one come from Cristina. On Craftee, she shares a special embroidery-themed post every Monday, and today she's bringing it to Wild Olive! Plus, you'll find a really wonderful giveaway at the end. Yay! It’s Cristina here from Craftee! I’m here today to give you a little taste of a feature I do over on my blog called Monday in Stitches! 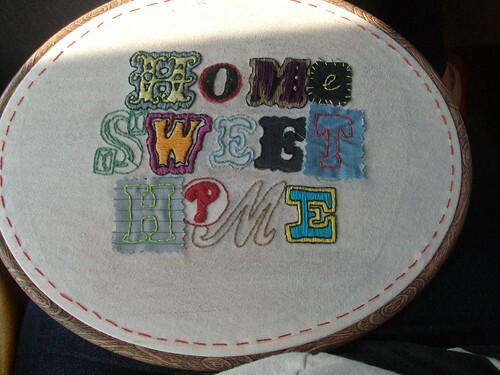 Embroidery is one of my most favourite crafts, so I love browsing flickr to find all of your stitched creations! Above stitched by DanaK~WaterPenny – I love the colours in this piece! Check out the stitch work in the leaves, I admire people who have the patience to stitch things this large. Above stitched by Rachel Mckay - The pieces of embroidery that stand out to me the most are always the ones with tons of colour. That’s exactly why I love this piece – oh and of course because of the cupcake! Above stitched by Cupcakes for Clara - Embroidery doesn’t have to mean that you stitched up a whole piece. It can also add marvelous detailing that really brings something to life! Above stitched by Georgia Asphalt - I love this piece because it experiments with all sorts of different stitches! 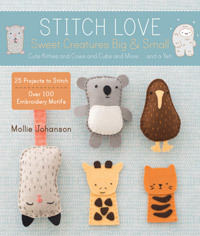 Now that you’ve had a nice sampling of stitches, I hope it will inspire you to make some wonderful stitch things of your own! 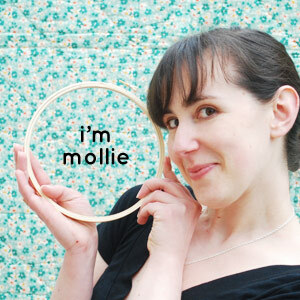 Mollie makes the most wonderful patterns if you’re looking for somewhere to start! 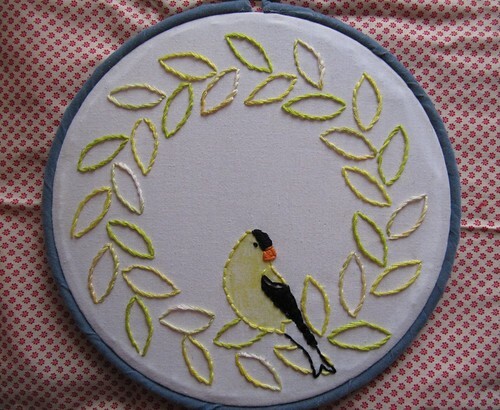 In addition to sharing these great pieces of embroidery – I want to give you something! 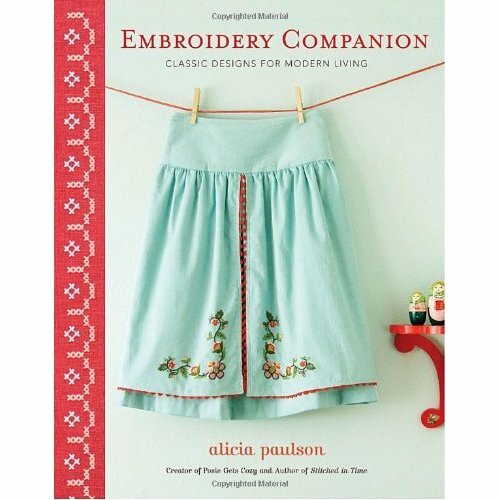 One lucky winner is going to receive Embroidery Companion: Classic Designs for Modern Living by Alicia Paulson! Whoa! Thanks Cristina! To enter this giveaway, go visit Craftee, then come back and leave a comment telling what your favorite Craftee find was (also, be sure to leave your name and a way to contact you!). The giveaway will be open until Thursday at NOON CST. Good luck! Hi visited Craftee, I just can't put my finger on just one thing. It looks like a great site, thank you for sharing. I thought the embroidery finds were so very cute but I think my favorite area of her blog is the DIY section. I had so much fun looking at the different things you could make. I am so making the fabric covered tacks. I am always a fan of tutorial roundups. The inspiration is endless. I also love the December 20, 2010 edition of Monday in Stitches, with the Poppy & Lime pieces - gorgeous! 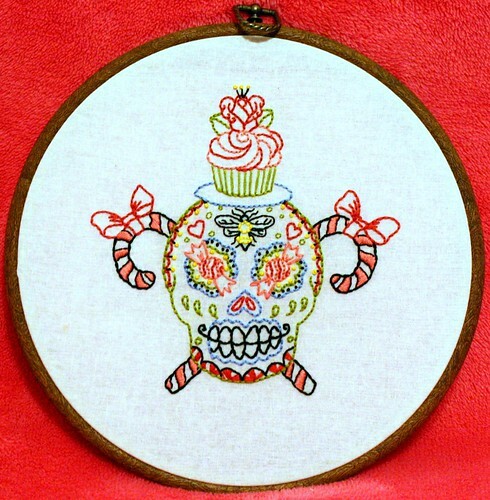 I just love the Sugar Skull. I had to go look at other Monday in Stitches. I need to go get some thread and have some fun! 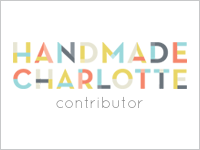 I'm loving the Etsy shop roundup! I love the tutorials. It's fun seeing what other people create, but if they show me how to do it too it's even better! 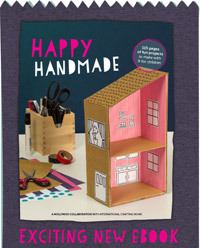 I love Monday in Stitches but am also digging the DIY articles. Great site! Get Craftee is awesome! I get lots of inspiration from the Mondays in Stitches-- Tutorials are always a bonus. Ooh I love the piece on hand carved stamps! Been so curious about the how to for a while now! I love the tutorial for fabric covered thumbtacks! I also like the whole cupcake section, my daughter's first birthday is cupcake themed! I love the turban-style headband! just what my daughter has been looking for! I love the peacock at the top and the tree right below it! They have inspired me with ideas for my own home! I really enjoyed the tutorial sections. I more specifically loved the carved stamp tutorial, as I've been wanting to make carved stamps for a while. I love the DIY section, but I'm really looking forward to an expansion of the eco-friendly section! This was my first visit to the Craftee site. Love the info on hand carving stamps. Would love to add your book to my library. I loved the DIY Woodgrain Notebook, I have an obsession with pretty notebooks and journals and one that I could make myself is even better!! I love, love, love the octopus that ktburr (I think thats it) made. I have never heard of Craftee before. Am I allowed to choose everything as my favorite? SO CUTE!! I love the Monday in Stitches and I got lost in the Flickr feed. Love the take on the Speckled Bird pattern! Love the hand-carved stamp tute...I keep meaning to try my hand at that! I loved the carved stamp tutorial. I've been trying to get up the nerve to try one, now I think I can. I found the cutest ship in a bottle, stitched by Melissa Crowe, in the December 20th Monday in Stitches. I love it!! I kind of had a hard time seeing what was what and where on their website. I finally went to their flickr site to see all their stuff easily. I really liked the tea towels. ...I'm a sucker for embroidered tea towels. I love tutorials. The cowl looks very doable for me. I love the Monday in Stitches feature. There is some amazing work there. I was new to her blog. 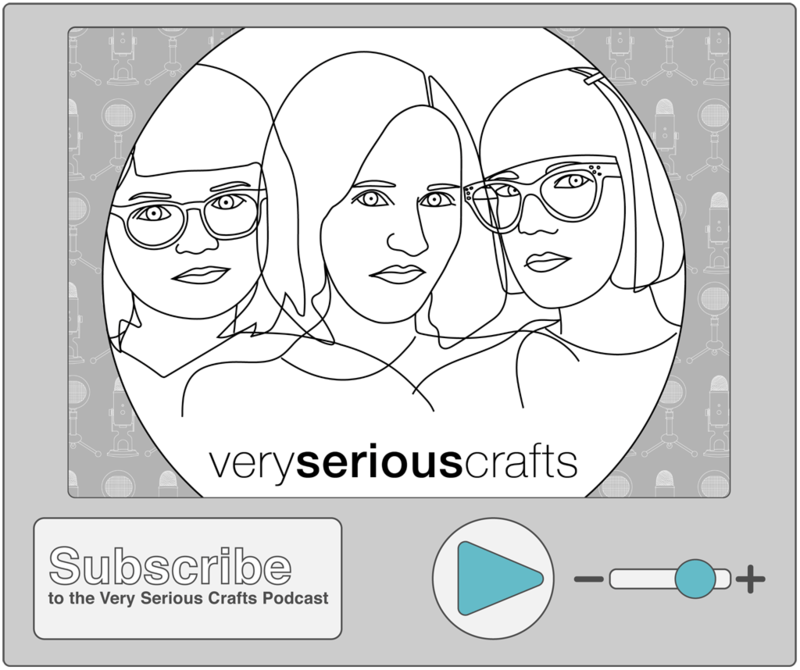 I love the monday in stitches feature and the round up! I love the hand carved stamp tutorial too. Thanks! I love the "spring always comes" piece from the January 10 post. Adorable. I love all the tutorials. The acorn owls are just adorable. the tutorial round-up is neat, but the monday in stitches is so inspiring too. what a great giveaway. I like the Etsy roundup. Great way to find beautiful new things. I'm intrigued by the classifieds section too, can't wait to see what that will be.